I love having projects in the pipeline that I believe will be a benefit to you! 1 We are working on a music/declaration video for you! Original music by the talented pianist Heather Bosshardt, visuals by the creative Stacy Casperson from Stacy Rose Photography, and declarations from Lioness that I hope will inspire and uplift you every day! 2 My lovely consultant, Shantel Peaden from Red Ladder Design, is working on next year’s planners and I’m so excited to see them! The idea is to add a new design each year, while still offering the design from the year before. So if you like the peaches and cream floral look of last year’s, you can reorder that one, or choose the new look if it suits you better. The tools and content will remain the same. The goal is to eventually have four different designs, one of which will hopefully compliment your kind of style. 3 Also, there is a gift being offered when a new Lioness blog subscription is made! We pondered over how to offer it to you ladies who already have a subscription and are active in the Lioness community. What we came to was a challenge! Would you consider sharing the Lioness blog with a friend and getting a print-out of the gift when she prints hers? I hope you will like the little booklet of recipes for kids, featuring 10 smoothie recipes that are fun and of course healthy! I would love to reach 100 X more families just like yours, and who knows best who are where they are than you? If Lioness has been a support to you, even a little, would you consider sharing the love with a friend? 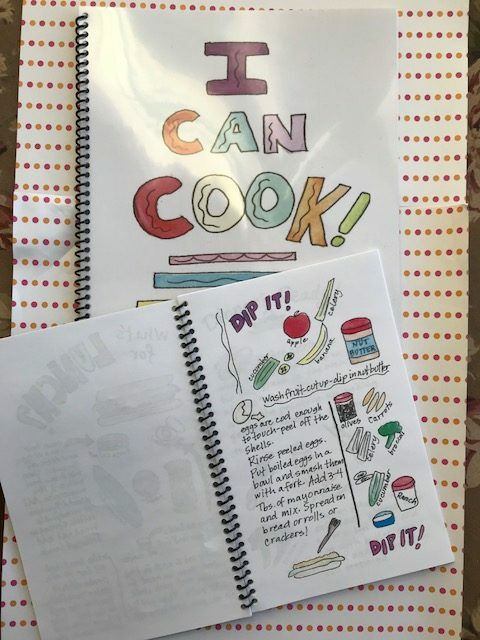 The kids cook booklet is small and simple, but who knows, it may be the thing that gets a child in the kitchen, interested in making (or helping to make) their own healthy food! And how about a smoothie recipe for today? I had this for breakfast this morning (thank you for the inspiration Carlin) and it was a delight! P.P.S. If you you’d like to pre-order a planner, please let me know ASAP so I can get a feel for how many to print this year. Thank you! You bet! Thank you for asking!